Then we question how much tax they pay or wonder about how much money they give away to charity. There are stories that delight and inspire, of those who take risks, stay ahead of the curve and overcome adversity. There are those who can pick the next trend before most of us have even thought of it. There is creativity, tenacity, hard work and perseverance. And, yes, there are the crooks and the duckers and divers too. With all that in mind, welcome to the inaugural edition of The List – Australia’s Richest 250. There are 96 billionaires, 15 people aged 40 and under, and almost $320 billion worth of wealth on this list of Australian citizens. It features 95-year-olds Len Ainsworth and Marc Besen, as well as 26-year-old Tobi Pearce. The List has been compiled using publicly available information, and features more names – 250 – than ever published in Australia. Public shareholdings are calculated on share prices up to February 15 this year, and property values and purchase prices have been derived from several public sources. Private companies, meanwhile, are valued using profit margins and various earnings ratios of comparable stock market listed competitors. Do the rich enjoy being under the microscope? There’s a relative handful who don’t like any attention at all – and we have the correspondence from their lawyers or chief financial officers to prove it. But with some cajoling they accept in the end that we will publish without fear or favour. The vast majority of those on The List, however, do deal with us, on an extremely confidential basis. We see balance sheets, statements of assets and private financial reports, and discuss profit margins and multiples. They will never reveal it publicly, but they will read this edition with interest. They want to see how they have performed relative to their peers, who has been successful and who hasn’t. In that way, it is a scorecard for them. And yes, officials from the Australian Taxation Office will inevitably be keen readers as well. The List has taken our team of journalists from Cambodia to introduction Perth, the US and the Gold Coast, with Melbourne and Sydney in between, covering all bases regarding what it is like to be rich and successful. That means the good as well as the bad. 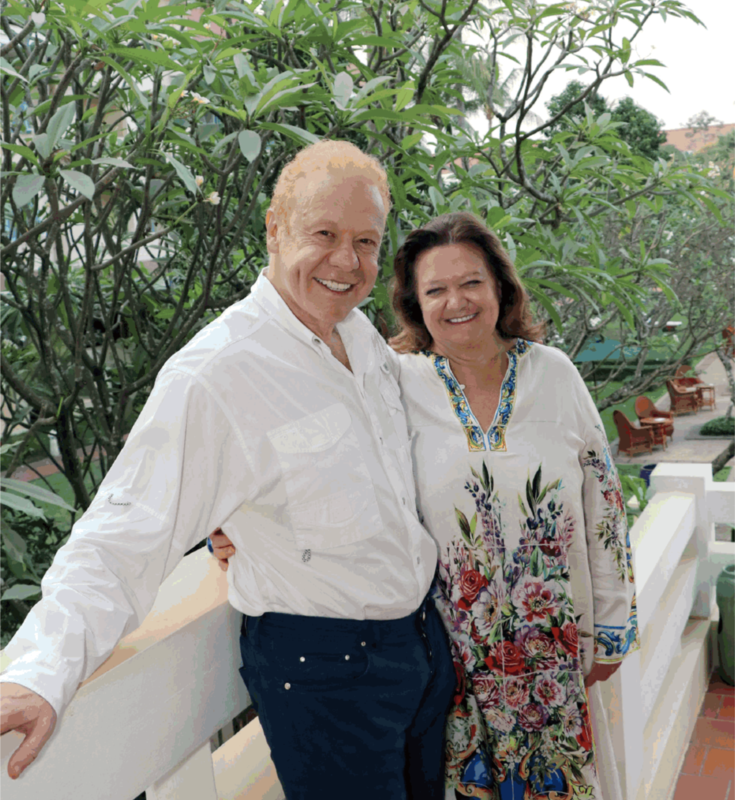 It features the richest man in Anthony Pratt – who sports socks with his own face on them, a Christmas present from his personal assistant – and the richest woman in Gina Rinehart, and shines a spotlight on their little-known friendship for the first time. There’s also glamour fitness couple Kayla Itsines and Tobi Pearce, the youngest entrepreneurs on the list. Poker machines magnate Bruce Mathieson took us into his home on Queensland’s Mermaid Beach and sat for hours in his shorts and bare feet regaling us with tales of growing up, happily, in poverty. And Nepal-born Shesh Ghale and Jumuna Gurung reveal how their arranged marriage has been the foundation of their successful relationship. This publication is not just a celebration of success. Many of the rich grapple with succession plans and how to carve up their hardearned wealth. Billionaire Paul Lederer reveals that his temper can get the better of him, and Jonathan Hallinan discusses how insulating his life has been and how anyone who admires his singleminded focus should think again. The List is the biggest study of Australia’s wealthiest individuals ever undertaken in this country, and given that it was from scratch it could not have been done without some very notable contributions. Special thanks in particular to WISH magazine editor David Meagher for expertly overseeing the publication and to art director Shireen Nolan for laying out the pages so beautifully, as well as to head researcher Vi Nguyen, who led a hard-working team; Nic Walker, who took many of the spectacular photographs; and Steve Waterson for his invaluable assistance.